An attempt was made to request data that is not available to the key that was used to authenticate the request.API Error ID: 396BAD92EAFA4A77A3B80AEF38BAE2D4 The API says: [The site you are attempting to access has been disabled] While attempting request to (https://api.wolfnet.com/core/auth). 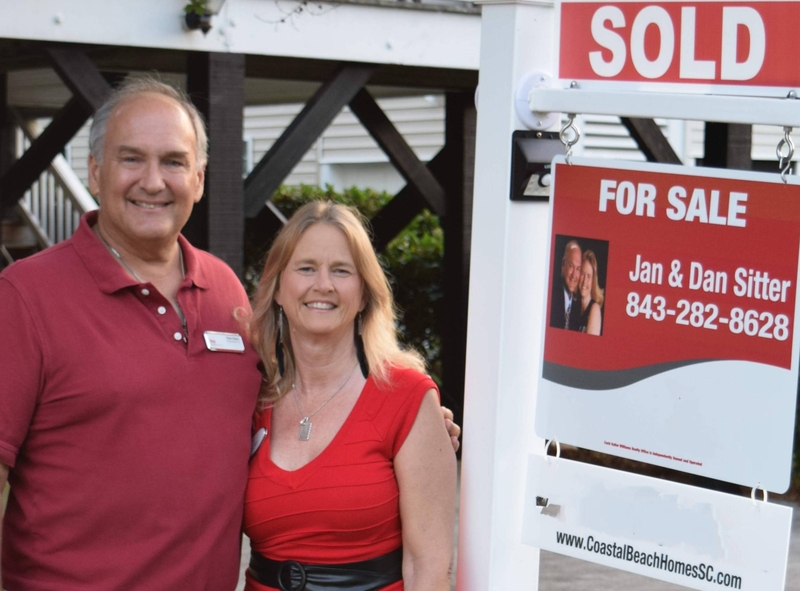 As licensed South Carolina Realtors® who are experts in the Myrtle Beach market area, Jan and Dan Sitter know their market. They represent the highest levels of integrity, performance and client service within the real estate industry. Every area is unique, so you need professionals you can trust to be knowledgeable of local market conditions and diligently work on your behalf. When you select Jan and Dan, you get a team of professional, licensed Realtors® working together on your behalf. “We understand that buying or selling a home is more than just a transaction: it’s a life-changing experience. That’s why our team is dedicated to providing exceptional, personalized service for all of our clients. What matters to you matters to us.” Jan and Dan take great pride in the relationships they build and always work relentlessly on their client’s behalf to help them achieve their real estate goals. As your Buyer’s Agent, you hire Jan and Dan Sitter to be your advocates, to act on your behalf, in all stages of your home buying process. We represent only you and your interests. We listen carefully to fully understand what matters to you, so that we present only the most ideal properties for your consideration, saving you a tremendous amount of time. We will work with you to find the right home at the right price in your time-frame, including all the neighborhood amenities that you desire. When it’s time to sell, you need a trusted professional who will effectively market your home in a variety of mediums, show it to prospective, well-qualified buyers, negotiate the purchase contract, suggest financing, oversee the inspections, handle all necessary paperwork and supervise the closing. As your Listing Agents, Jan and Dan can take care of everything you need, from start to close!